Nose: Delicate, floral (violet, white flowers) and fruity (Mirabelle, pear). Palate: Round, light, with a fine length. No sweetness, well-balanced with prevailing flavours of fruit. Merlet Eau de Vigne is a true blast from the past, being a throwback to the days when un-aged eaux-de-vie was enjoyed as a drink in its own right. The popularity of Cognac and Armagnac have slowly edged out such a spirit - and the family Merlet decided it was time to bring back this age old tradition. 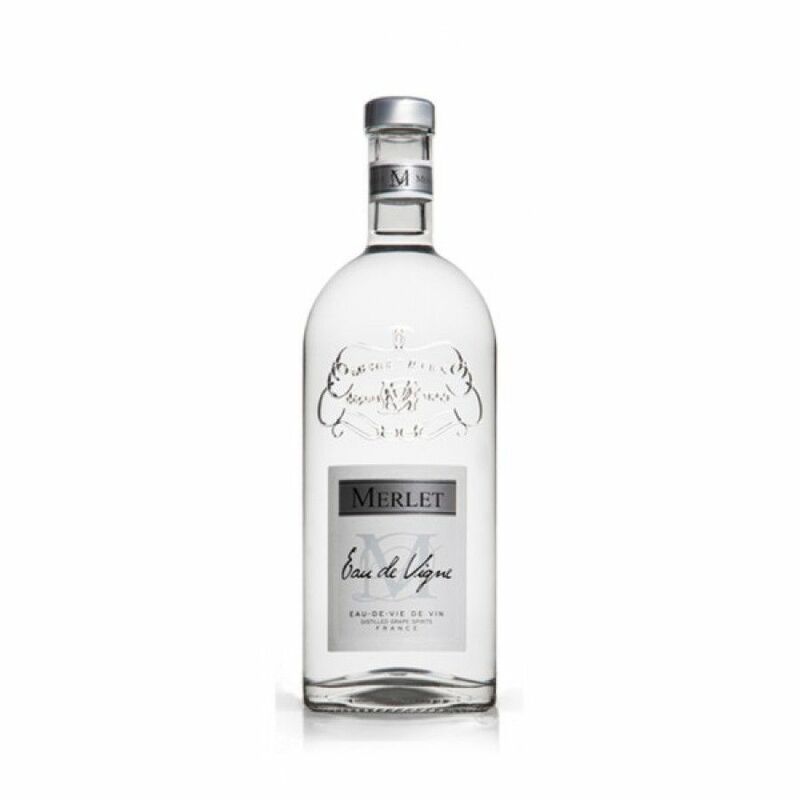 A clear spirit, this is a blend of a combination of eaux-de-vies from the Merlet family cellar. Most of them are from Ugni Blanc and Colombard grapes. The resulting tipple is both fruity and aromatic. Enjoy it neat as a digestif, on the rocks, or in a cocktail.